Christopher Yu obtained his Juris Doctor from the Faculty of Law at Queen’s University in 2013, and was called to the Ontario Bar in 2014 after he completed his articles at the Civil Remedies for Illicit Activities Office in the Ministry of the Attorney General. Since his call, Christopher has practiced exclusively in the area of family law, and is well versed in all issues arising from separation and divorce, including custody and access issues, child and spousal support, and property issues. 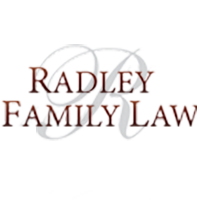 Prior to joining Radley Family Law in 2017, Christopher was an Associate at a prominent boutique family law firm in downtown Toronto. Christopher strives to assist individuals facing separation and divorce to reach a fair and equitable resolution in a cost-efficient manner. However, he also understands when court intervention is necessary, and is experienced representing persons in both the Ontario Court of Justice and Superior Court of Justice. In his spare time, Christopher enjoys golfing, sports, and all things wine-related.